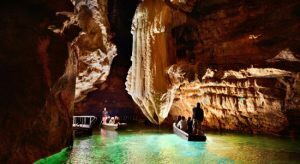 The most popular site in the Midi-Pyrenees, a natural subterranean cavity with an underground river and boat ride to one of the most impressive caves in Europe - the Grand Dome. 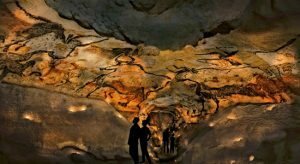 The most famous palaeolithic sanctuary in the world, including the Great Hall of Bulls and the Painted Gallery, this is a perfect facsimile of the protected cave system just 200m away. 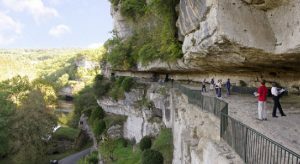 The biggest Troglodyte site in Western Europe stretches through five different levels, occupied by man for 55,000 years, includes a museum of prehistoric civil engineering and broad views of the surrounding area. 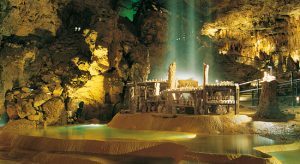 Journey through the chronological history of Prehistory with scenes of life from the Middle Ages up to 1966. The route takes you through the stages of Perigordian life through the ages. 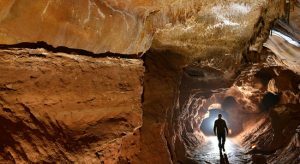 An underground world of all the finest crystallisations nature can create. The Crystal Cathedral is an audi-visually enhanced wonder, as is the memorable cage-drop descent into the caves. A rare diversity of formations have emerged in this 2000-discovered one-of-a-kind. 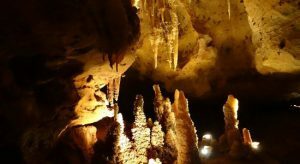 Stalactites and Stalagmites are joined by formations that defy gravity and explanations in their extraordinary growth.